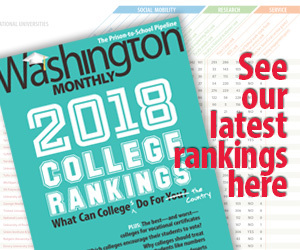 Washington Monthly | Breaking the Power of the Early States–Manana! Breaking the Power of the Early States–Manana! 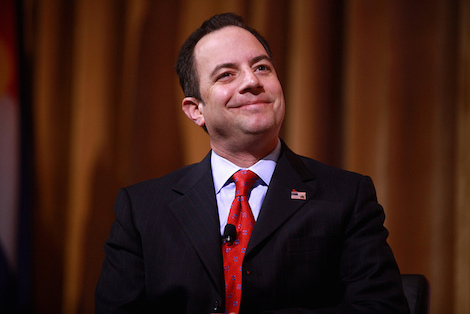 Today’s much-needed chuckle comes from an interview National Journal‘s Tim Alberta conducted with RNC Chairman Reince Priebus in which the party honcho whose grip over the GOP has not looked all that secure is talking tough about what might be done to the early-state nominating contest oligopoly after the current cycle is over. With the RNC this week finalizing its rules and regulations for next year’s primary, Priebus said in an interview that there is unfinished business he’d hoped to address before the next cycle: shaking up the early states on the primary calendar. Yeah, well, talk is cheap, particularly when you are vaguely threatening to promote in the future changes you failed to promote for the current cycle. The one thing the RNC did to mess with the early states was to bless debate inclusion criteria that placed a premium on national poll numbers rather than frantic activity in Iowa and New Hampshire. And that was almost certainly inadvertent, mattering only because of the insanely large field of theoretically viable candidates. Forgetting all that and taking Priebus’s dark mutterings seriously, what’s his shiny new idea for the nomination contest calendar? Know how long this “intriguing” idea has been circulating? I first heard about it in the late 1970s. It’s sure taking a while to gain that critical mass of support. And even if Priebus thinks it’s time to kill off the early-state oligopoly, he’s already said he will step down as RNC chair after 2016. The reality is that both parties, but particularly the Republicans, have a decentralized nominating contest system in which any states that are willing to go to the mats with potential candidates are going to continue to have their way. Iowa and New Hampshire party activists send off beeping signals 365 days of the year that anyone who threatens their status had best not set foot in their states looking for votes. Nevada and South Carolina owe their own privileged status to the grossly unrepresentative nature of Iowa and New Hampshire, so they have zero reason to rock the boat, either. I’ve long thought the only way the nominating contest calendar can be successfully challenged is by a reasonably popular incumbent president heading into a reelection bid without a lot of intraparty opposition. So Bill Clinton going into 1996, George W. Bush going into 2004, and Barack Obama going into 2012, all might have made the big move towards a very different nominating process without a whole lot to fear from the early states (though that assumption could be wrong: in Iowa, at least, I’m sure you would hear some partisans threaten to throw the general election in their state if their leader destroyed the First in the Nation Caucus). Who knows when we’ll have the next such opportunity? Obviously no sooner than 2020. In the mean time, the most we will hear is tough talk about reforms to be undertaken–manana.